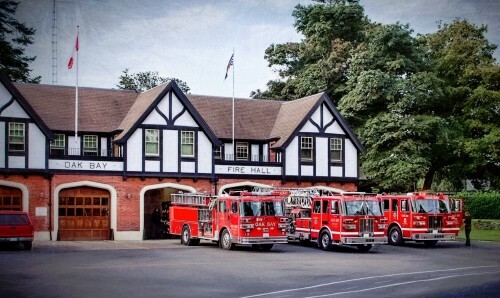 Fire trucks at Oak Bay Fire Hall in Vancouver Island, British Columbia, Canada. Credit: Special thanks to jarr1520 for granting permission to use this photograph as a jigsaw puzzle. Visit jarr1520's Flickr photostream. See all jigsaw puzzles based on jarr1520's photographs.